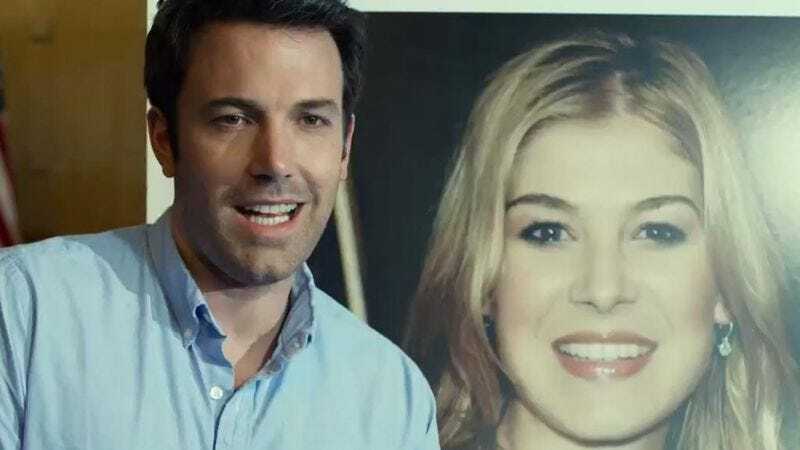 Although it has not been received as warmly as some other movies we could mention this awards season, Gone Girl has been great both for star Ben Affleck, who successfully proved that he can play a total creep, and for director David Fincher. In fact, Gone Girl is now Fincher’s biggest box-office success to date, grossing $350 million worldwide since its release in October. That of course led to talk of a sequel, but in a twist we should have seen coming, it turns out that Gillian Flynn’s planned sequel is not a sequel at all. It’s a remake of Strangers On A Train. Deadline broke the news of the remake earlier today, and says that Affleck and Fincher are both attached, with Flynn in talks to write the screenplay. Tentatively titled Strangers, the film will stray from Alfred Hitchcock’s version of the story (which itself was changed significantly from Patricia Highsmith’s novel) by taking place on a plane rather than a train. Affleck will star as a successful actor in the middle of an Oscar campaign who unwittingly becomes entangled in a murder plot after accepting a ride on a stranger’s private plane. But how do we know that Flynn didn’t write the Deadline story herself, in order to fool us into thinking that she is adapting a Hitchcock movie instead of the further adventures of Nick and Amy Dunne? Can we ever really know what the woman who wrote a novel she then adapted into a movie is thinking, especially when those novels and movies have dramatic plot twists halfway through? Could she possibly be writing…both? We’ll find out as soon as Affleck is done directing his latest Boston movie.